New glutenin subunits have been identified and they can play a relevant role on the wheat quality. This finding has been carried out by two female researchers from Universidad Politécnica de Madrid (UPM) and Plant Genetic Resources Center of INIA (CRF-INIA). A researcher from School of Agricultural, Food and Biosystems Engineering (ETSIAAB) at UPM, along with another researcher from Plant Genetic Resources Center of INIA (CRF-INIA) has carried out a research to assess the glutenin composition of a collection of durum wheat of local varieties that can be useful to extend the genetic basis of modern wheat cultivars. They also collected and organized all the variability described so far in order to facilitate the identification of diverse variants to both the scientific community and private companies. Durum wheat is a major crop in the Mediterranean basin to produce pasta and some types of bread. The development of improved varieties of high performance has progressively brought a loss of genetic variability in crops, including wheat, since the mid-20th century. Faced with this situation, local varieties (native varieties cropped before being replaced by varieties obtained from the plant breeding programs and preserved in germplasm collections) are a reservoir of natural genetic variability. These materials are essential resources in the development of new crops to face the current needs, such as the development of wheat with greater adaptability to different environmental conditions or higher quality. The glutenins, proteins found in wheat, are major a determinant of the durum wheat quality. 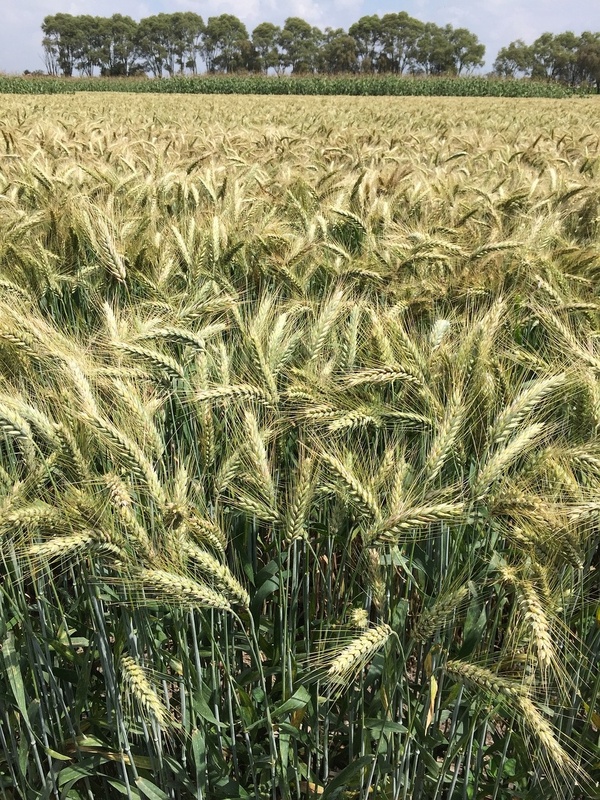 Determining the glutenin composition is the best indicator in the technological quality of the flour and its analysis is essential in durum wheat breeding programs to select the best varieties. However, the right identification of glutenins is a tough task due to their complex genetic base and the polyploid nature of wheat (presence of several genomes). The researchers carried out the characterization of the wheat glutenins from the all CRF-INIA wheat collection in their last work. This collection includes almost a hundred local varieties that represent the genetic variability presents in the germplasm collections, this is the result of previous work. Such work allowed researchers to identify new glutenin subunits that can play a determinant role in the quality of wheat as well as to studying in depth the complex genetic control of these proteins. Patricia Giraldo says “local varieties of durum wheat contain a great genetic variability for glutenins and constitute a germplasm with great potential for genetic improvement. It is expected our work results help improve the wheat yields in a diverse production environment”.